You'll definitely be ready for a round of tennis or an intense day of shopping if you wear these rugged Reebok Women's RB417 Black Non-Metallic Composite Toe Abrasion-Resistant Shoes. They're lightweight and low-cut, and made to help you take on any tough task. But ... (see full details) (see specifications) #RBKRB417. You'll definitely be ready for a round of tennis or an intense day of shopping if you wear these rugged Reebok Women's RB417 Black Non-Metallic Composite Toe Abrasion-Resistant Shoes. They're lightweight and low-cut, and made to help you take on any tough task. But this Reebok footwear is built to help you do everything you need to do at work, too. These high-performance athletic oxfords have a stylish look that can be worn anywhere. Durable, black leather was used to create the sleek, low-cut design of these Reebok shoes. Leather withstands wear and tear and naturally resists abrasions to keep your look sharply stylish. But leather isn't just tough; it's soft. It feels pliant and flexible when you step, so you can step with a lot less effort while wearing these slip-resistant shoes. Inside of these composite toe shoes, nylon mesh material surrounds your feet in lightweight, abrasion-resistant protection. Nylon withstands wear and tear, and it's so tough it even resists chemical damage. Polyurethane F2A cushion inserts protect your steps from damage when you wear these safety toe shoes. Made with a dual-density design, they give your steps two layers of shock-resistant softness. Polyurethane weighs less than ordinary rubber, but it absorbs even more shock to protect your feet and muscles. Remove the inserts of these black shoes any time for cleaning. EVA foam was used in the midsoles of these oil-resistant shoes to add an extra, cushioning layer to soften your steps. Wrap-around shank stabilizers are built into the design to prevent muscle strain. They keep your arches supported so your feet don't have to work so hard when you wear these women's shoes. The soles are built in a dual-density design, too. Two layers of shock-absorbent rubber keep your steps bouncy and springy to help you rebound with every step taken in these non-metallic shoes. Heel airbags add a lightweight, impact-resistant core to the heart of the design. The a design that is 100% non-metallic, these work shoes are lightweight and security-friendly. It doesn't make them less safe. The extra wide toe boxes house composite safety caps that guard your feet from impact and compression. Composite doesn't conduct electricity or temperature, like steel does, but it does protect your toes. These leather shoes meet ASTM F2413-05 standards for protective women's footwear. Wear Reebok Women's RB417 Black Non-Metallic Composite Toe Athletic Shoes and be ready for everything the day brings your way. This shoe is worn by an employee in housekeeping department. She says they are very comfortable and much lighter than a boot. The shoe is non slip and easy to wear. We would purchase these shoes again for other employees in any department where safety shoes are needed. This shoe is also approved my our management team and safety committee. These Reebok shoes are a men's/women's sizing combo. So they are the standard size for men's width, which is too big and too wide for my foot. My toes feel like they're slipping and sliding around the toe box, even with the shoes tied tightly. If you have narrow feet, these are not for you. I also expected composite toe shoes to be lighter than steel toe, and these are no lighter at all. Bummer. 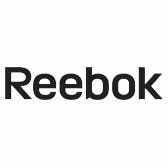 Reebok Shoes: Women's RB417 Black Composite Toe Slip-Resistant Athletic Shoes is being added to your cart.